We guide our visitors through the fascinating world of the invisible. Be active for yourself, experiment and follow in the footsteps of a truly great discoverer – that is the motto here in Remscheid. 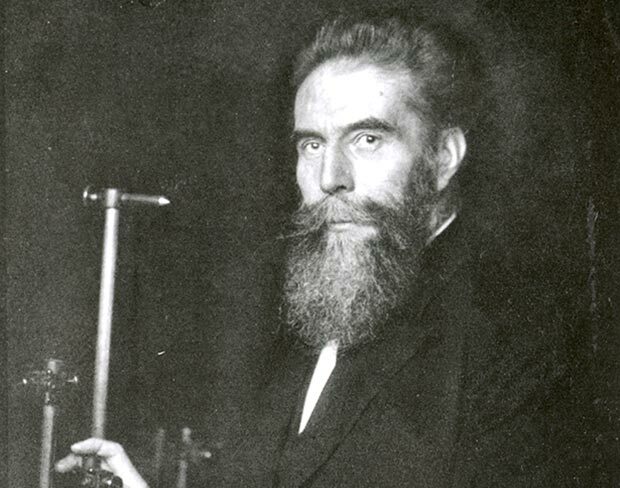 Visit us in Remscheid-Lennep, the birthplace of the discoverer of X-rays. Here, we take our visitors on an exciting expedition and adventure tour and make the wold of the invisible one that can be perceived. We want to make the themes of medicine, science and technology tangible and into an intriguing project for all our visitors. In our Museum the focus is on being active for yourself. Not just to look and marvel but to try things out, experiment and navigate a way through the fascinating world of the invisible. Come and see for yourself and become a discoverer! 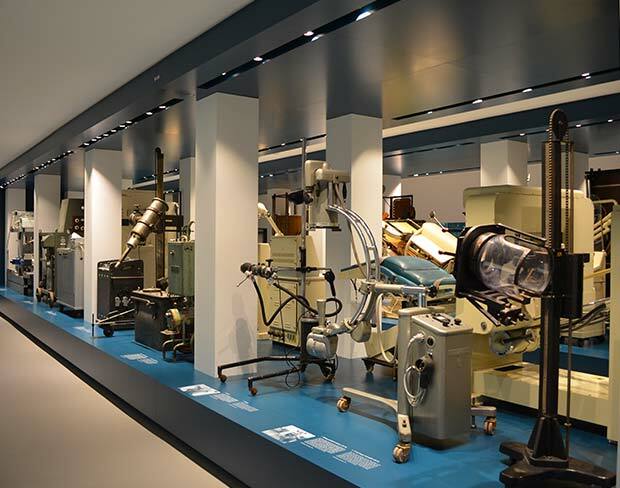 We guide our visitors through the ingenious history of the development of X-rays. Wilhelm Conrad Röntgen was born on 27 March 1845 in the traditional cloth-making town of Lennep. The son of a textile manufacturing family also spent his early years here – before he had his great breakthrough in the year 1895. He discovered the rays that are today known the world over as X-rays during his time at the University of Würzburg. His work did not only revolutionise the entire field of medical diagnostics and therapy, it also paved the way for many high-tech applications, which we can probably benefit more from today than ever before. And subsequently, this brilliant physicist, discoverer and researcher was rightly awarded the first Nobel Prize for Physics in 1901. So a very intriguing expedition commences for our guests directly at the entrance area, continues past Röntgen’s discoveries, leads through the fascinating world of the invisible and concludes with today’s ingenious applications – in other words: excitement guaranteed! In particular, three things hold true for our visitors to the German Röntgen Museum: be active for yourself, try things out and get going on your very own discovery tour. Every journey is an expedition and adventure through the worlds of medicine, science and technology. In this respect we focus on diversity as well as on a multi-media and multilingual approach and make sure that every visitor can make her or his own individual discoveries. Quite in line with Röntgen’s motto: “I only feel happy when I can experiment”, everyone can become actively involved here. And because our visitors are so different to one another, we also offer age-related guided tours for the young and old – as well as a range of options for school classes and child groups. Here, for example, the Mini-Club and the Röntgen Workshop target children attending primary school. However, we are absolutely certain that there is something for everyone here. The German Röntgen Museum is situated just a stone’s throw away from Wilhelm’s birthplace. Of course, the location of our Museum is not just a coincidence. 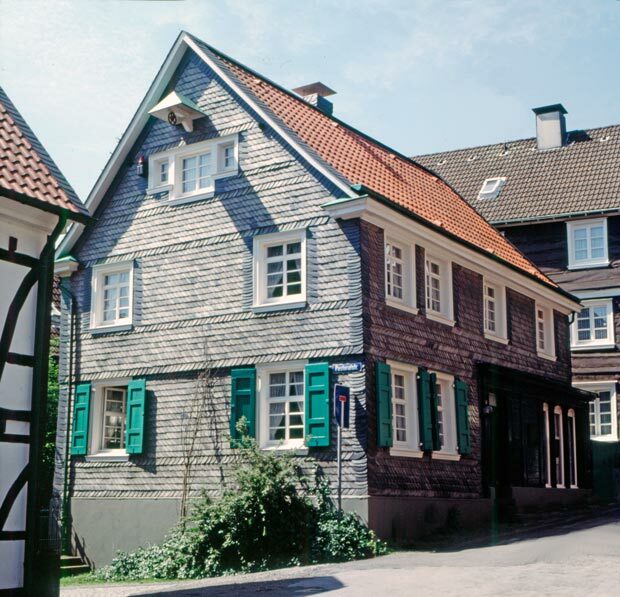 The house where Röntgen was born is more or less just around the corner – barely 200 metres away from the Museum. And, admittedly, that was the reason for us to commit to the pioneering discoveries of Wilhelm Conrad Röntgen. His birthplace is currently being modernised with the support of the German Radiological Society and is planned to be open for visitors from all over the world in the spring of 2019. But even today, the world of science is already setting its sights on the Röntgen Mecca in the Bergisches Land. And particularly then when the Röntgen Medal of the City of Remscheid is awarded to leading scientists and Nobel prize winners. And for all those scientists who would like to come along and marvel, the house of Röntgen’s birth will soon also be offering various conference and event options. We keep our visitors up-to-date and detail all developments here regarding our Museum. MTA-R.de Ein wirklich toller Film. Ein Lego Brickfilm über W.C. Röntgen für ein Schulprojekt erstellt. Respekt! Deutsches Röntgen-Museum shared a post. Deutsches Röntgen-Museum shared a link. Our Museum is a location where things happen – and we would like to show you here just what we have got planned to do and when.